TeAx and FLIR Boson: First add-on of ThermalCapture series, enabling communication for thermal drone operations. Designed and based on the new FLIR Boson core, TeAx released its first add-on out of the well-known ThermalCapture series. The add-on is the first of its kind and brings a serial interface (UART) to the FLIR Boson in order to enable communication for thermal drone operations with the new thermal core from FLIR together with a sync signal. WILNSDORF, Germany, 17th April 2018 – TeAx Technology, a valued partner for FLIR within the drone market, released their first add-on for the new FLIR Boson thermal core out of the ThermalCapture series, which has been established back in 2013. The add-on provides a serial interface (UART) and enables users to communicate with the FLIR Boson and the sync interface to integrate with other sensors. 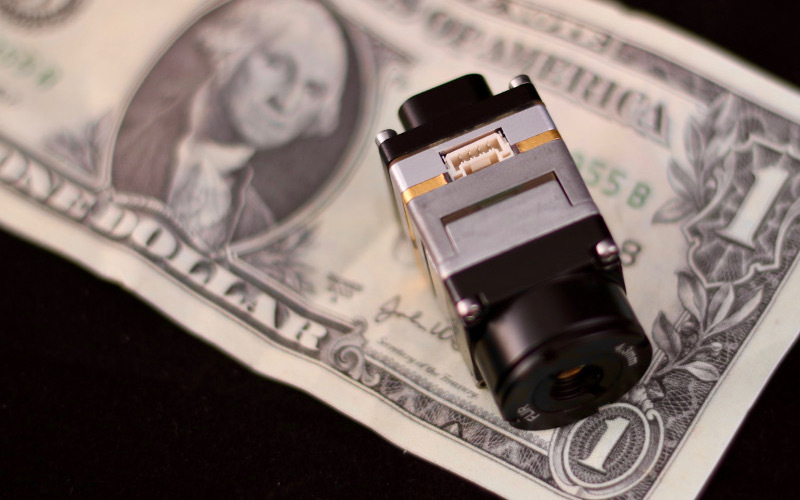 “Since the FLIR Boson finally is available on the market, we at TeAx just started with a series of exciting developments for this thermal core from FLIR”, Stefan Thamke, one of the founders and CEOs of TeAx Technology, comments. “We started with an add-on for the FLIR Boson, which enables especially drone system integrators for communication with the FLIR Boson via UART” Thamke continues. The new add-on is a lightweight board between the FLIR Boson thermal core and a VPC module. “In addition to the serial interface we now provide, the new add-on also allows to synchronize signals between the FLIR Boson and additional sensors, our clients may want to combine with each other”, Stefan Thamke explains further benefits of the ThermalCapture add-on for the FLIR Boson. “We recognize a demand from the drone market that clients would like to combine and synchronize multiple sensors with each other on their drones and operations” Thamke says and continues “This is the answer from TeAx to those, who work with multiple sensors, amongst professional thermal ones from FLIR”. And Michael Thoss, VP Sales & Marketing, adds “I am happy that we at TeAx – again – are one of the first who can provide additional values to the new thermal cores from the market leader FLIR”. And he continuous “without revealing too much yet, but there are more exciting solutions and add-ons to be announced shortly for the global thermal drone industry”, Michael sums it up.